One of the best birthday gift I received last January 4, 2011 is a show piece that I really treasure, a source of my pride and joy, a very memorable and undying remembrance. As shown in my first article, this blog was born on November 9, 2010. 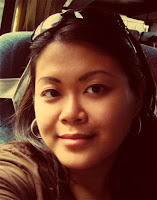 Being a greenapple in the blogging world, I am still a noob in the ins and outs of blogosphere. I am still in the process of learning through interacting, reading blog tips for dummies and blogs of fellow bloggers, joining bloggers’ groups and many more. I still have to go a long long way to be a professional blogger to acquire page ranks, commendations etc. Well, I am not rushing things, I do part time blogging to put into use my passion for writing. I compose and write articles according to my own experiences and interests to share tips and ideas, to emphasize a personal point of view, to inform or give words of advices to my readers. To you my dear friend Mhel, my deepest appreciation and gratitude, you made my natal day complete! If you only knew how much happiness engulfed me on that day! I cannot eat well due to over excitement, I almost forgot that my right knee is swelling and aching lol. I am really not expecting that you will be giving me a domain name too, for I am looking forward for the blog theme you’re creating for me. The blog theme is so much for a gift already. Now I am more inspired, encouraged and challenged to write more :) . It took me a while to post this, because I keep on editing this post for the nth time already hehe, for I do not know how to express my sincerest gratitude. Once again, Thank you very much Missy! More power and may God bless you always! You are indeed blessed! God bless you more Mommy Joy! Awww... I'm so touched naman. You're very welcome, sis! And I'm really proud to say I encouraged you to blog 'cause you're one heck of a writer! I love reading your tips on motherhood, which I know will be useful for me in the future (I hope!!). yes, like you, i am also very grateful, thankful and lucky to have Mhel (blankpixels) as a friend. i consider her as my online/blog IDOL. She is a good example for all of us, especially, to the entire blog realm. Mhel is very helpful--to the highest level. Very hard working and generous. ^_^ She is not selfish. Mommy Rubz, thank you! God bless Us All! Sis Mhel, my words are not enough to express my heartfelt gratitude, someday i hope can return the favors you are generously showering me. Hello Karl, I agree! bow!